No soldering, no wiring, no programming, just snap together for prototyping, learning and fun. Each bit has a specific function (light, sound, sensors, buttons, thresholds, pulse, motors, etc), and modules snap to make larger circuits. 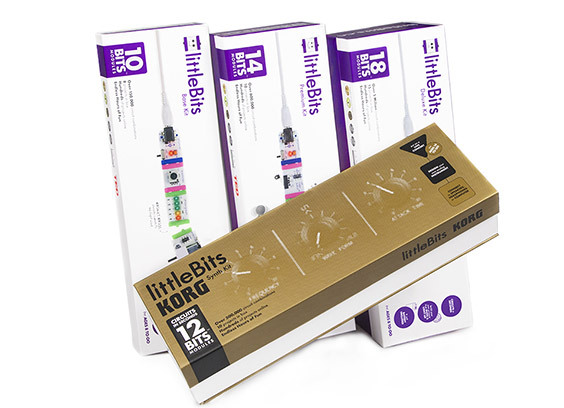 Just as LEGO™ allows you to create complex structures with very little engineering knowledge, littleBits are small, simple, intuitive, blocks that make creating with sophisticated electronics a matter of snapping small magnets together. ​My role as a Product Designer involves product design, development, and management. I am responsible for the development of several product lines, including kits, bundles, accessories, and packaging. A huge part of my job is making sure the overall product experience, from bits to packaging to projects, is the best it can be and communicates the littleBits mission to empower everyone to invent with electronics.